But, in reality, (considering silicon surface variation), the clock, which is supposed to arrive at ‘t’ ns, might not always arrive at ‘t’ns, but at t+x or t-x or t+2x, etc. You can think of silicon surface as a ‘road’, and distance from the clock port to any flop clock pin is ‘say’ 1mile. It’s not always possible for a car to cover 1 mile always at same time. Same thing is with clock edge as well. I think, till now, you fairly know what an eye diagram is. But let me tell you, that’s not all. 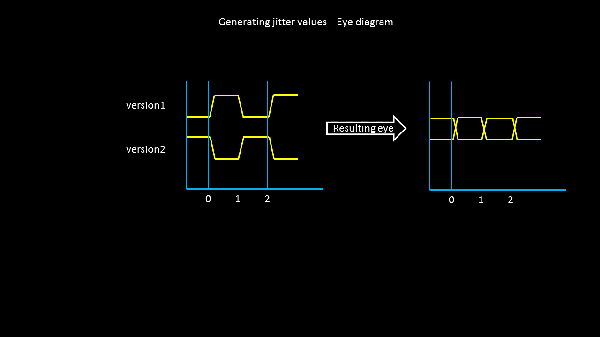 We account for the power supply variations as well (voltage droop and ground bounce) while creating the ‘eye’ and the ‘eye’ becomes more and more realistic, that helps you to get an accurate jitter value. 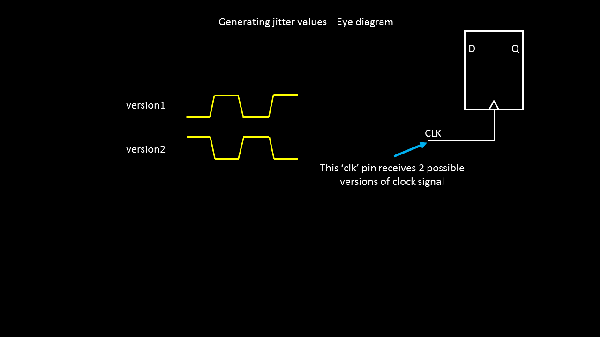 I’m interested in creating an eye diagram of a clock signal I am using. It’s only the clock signal no data. 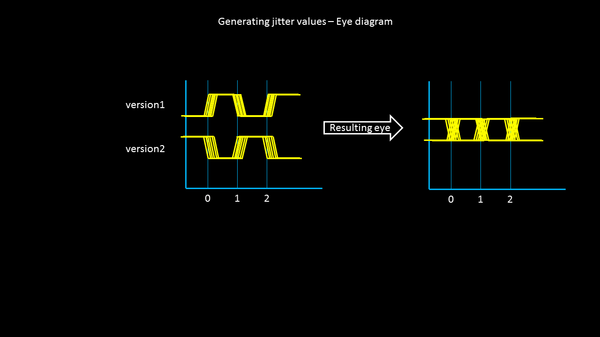 Can I create and eye diagram? 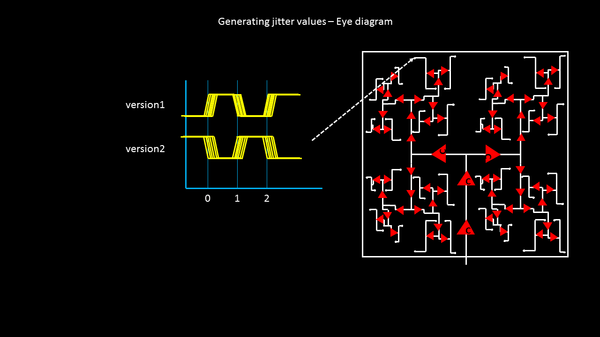 I like this article but where can I find you video and more on jitter?